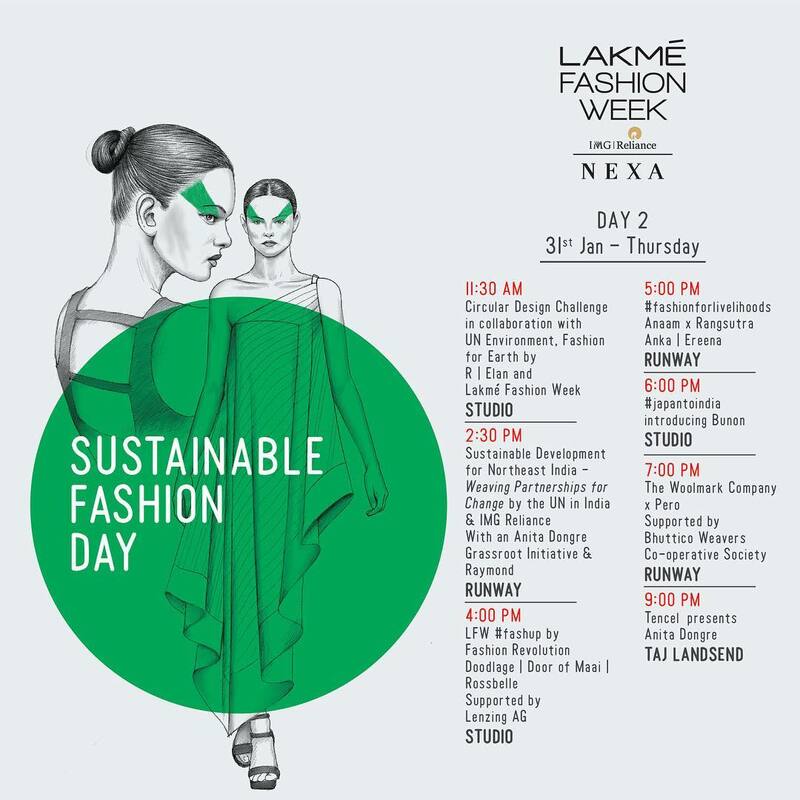 Day 2, which is being held today, the 31st of January, is Sustainable Fashion Day at LFW this season. This entire day is dedicated to sustainable labels and designers, but will also focus on the weavers, artisans, and seamstresses that actually create the clothes. Again, Lenzing has partnered with yet another headline designer, none other than Anita Dongre, to put on a show made entirely out of Tencel, one of their biodegradable fabrics. Last year, the group partnered with Rajesh Pratap Singh. What makes this show special this year is that many young, emerging designers will also be showcasing their upcycled Tencel collections alongside the very manufacturers for the #FashUp collaboration between Fashion Revolution and LFW. The three designers selected by the organizations are Doodlage, Rossebelle, and Door of Mai. Founder of SFD Evelyn Sharma is set to walk the ramp for Doodlage. It is very rare that mills get a chance to celebrate the individuals who actually utilize their technology to create intricate Indian weaves. This approach really spotlights every part of the garment-making process and encourages transparency from the designer to the weaver to a manufacturer and finally to the consumer. The Seams For Dreams team will be documenting all the action at Sustainable Fashion Day from the SFD Instagram account @seamsfordreams today so stay tuned for live updates from Lakme Fashion Week!